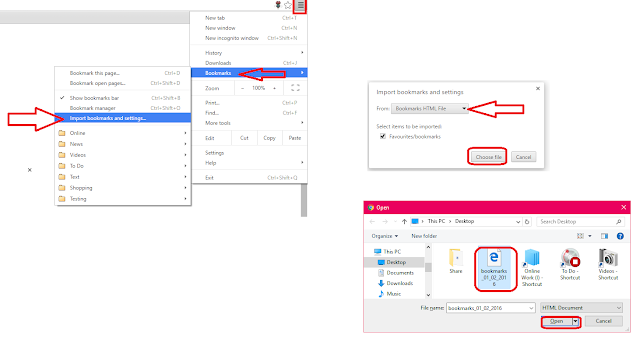 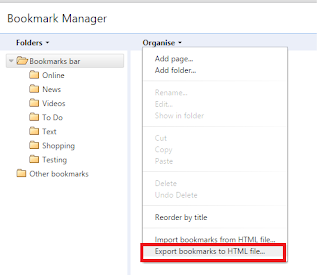 In this post I will show you how to import or export all bookmarks from one PC to other PC on Chrome Browser, if you are planning to format your pc and want to get back all the bookmarks than this method will perfectly work for you. 3. 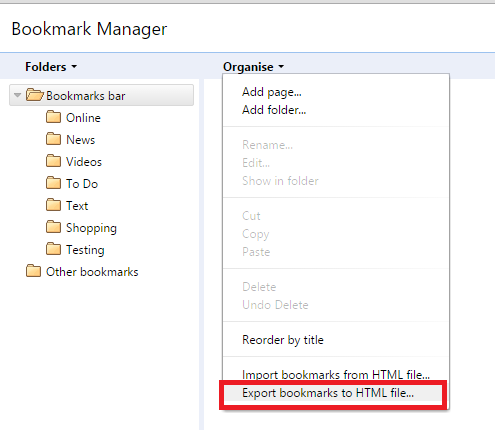 In your second PC open Chrome browser click on three line button, select “Bookmarks” and click on “Import Bookmarks and setting” choose “Bookmarks HTML File” from drop down menu, click on “Choose file” select the bookmarks HTML file from your pc and click “Open” and “Finish” your all bookmarks will imported into your bookmarks bar.